Rick Brick is an architect who remembers the days when Brickport was gleaming and prosperous. Today, the city crumbles under corruption, poverty, and crime, but a powerful young billionaire has recently stepped in to run the capital. The billionaire demands that Rick design and build a magnificent structure at the center of the city, something to bring the city back to its original splendor. But the billionaire has ulterior motives. The last brick to be used to finish the building is The Onyx Brick, older than the universe and holding all evil. Once the structure is finished, it will destroy the universe. It’s up to Rick to find The Golden Brick, which holds all good, before The Onyx Brick is put into place. Rick and his friend must cross through a portal and into three different brick dimensions to search for The Golden Brick. From the land of the dinosaurs to deep space, Rick will face great challenges and overcome hurdles with his quick mind and clever brick building. Will Rick Brick save the day? Or will Brickport, and the rest of the universe, be destroyed forever? This is the perfect book for reluctant readers who love LEGO bricks. Get kids excited to read with this fast-paced LEGO adventure! Tamony Hall is a children’s book author and editor. She’s worked with many award-winning authors at various publishers, including HarperCollins, Disney Hyperion, and Houghton Mifflin Harcourt. She holds a master’s degree in writing and literature. She lives with her family in Brooklyn, New York. 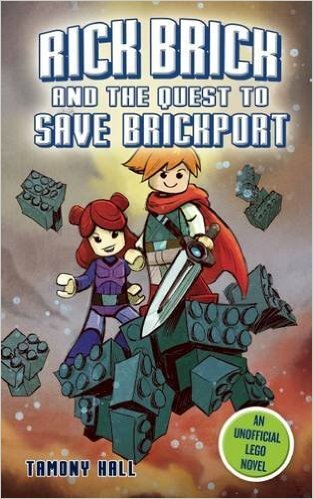 Rick Brick and the Quest to Save Brickport by Tamony Hall is the perfect chapter book for young readers! My kids love LEGO bricks so they found this book so fun. Rick Brick is an architect who is hired by a billionaire to design and build a magnificent structure at the center of the city, something to bring the city back to its original splendor. But the billionaire has ulterior motives. Rick will face great challenges and overcome hurdles with his quick mind and clever brick building. This is a very suspenseful and entertaining book for kids and I have to admit it even pulled me in. Such a fun book for kids to read on their own or for parents to read to their kids. I enjoyed reading a chapter each night before bed to my kids. The kids were always begging me to read more and I often did because I was so into the book. 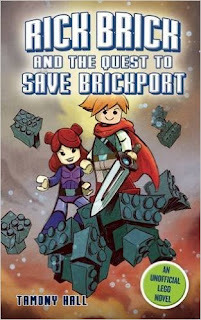 You can find Rick Brick and the Quest to Save Brickport: An Unofficial LEGO Novel on Amazon, Barnes and Noble and other bookstores.